Our smallest client is a pub with 25 employees; by HiringSmart they cut their turnover in half and increased their average check by 14% in the first year. Our largest client is a national retailer with 3200 stores in 50 States. In the first six months the system handled nearly 600,000 candidates and saved the management team thousands of hours by allowing them to focus only on those candidates likeliest to meet their requirements and share their standards of performance. They report seeing better quality candidates than ever before. We have the right tools to help. 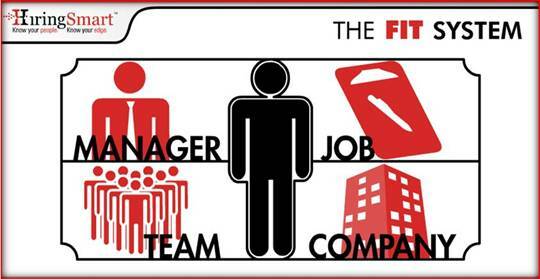 Each employer has its own fit requirements, and its own unique set of circumstances. And clearly the approach needs to be a little different when you’re hiring counter help than when you’re hiring a CEO. But as you’ll learn from the case studies to the right, the process itself doesn’t change in either instance; it’s the content at each step that changes to match the requirements of the role. Big or small, single location or hundreds… we have the tools and the experience to strengthen your business. The Courage To Think Differently - And To Act!